SBS Swiss Business School is one of the top business schools in Switzerland. 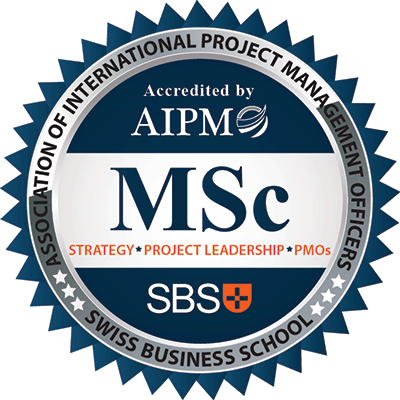 The MSc in Strategy, Project Leadership and PMOs has been created by AIPMO and the program is jointly delivered by professors from both AIPMO and the SBS Swiss Business School. This unique program uses the top professors in the world to deliver project, leadership and PMOs modules. Professor Ralf Müller, Professor Aaron Shenhar and Professor Robert Joslin teach alongside SBS Swiss Business School professors. The SBS Swiss Business School Master of Science (MSc) in Strategy, Project Leadership and PMOs is a part-time, one-year, 90-ECTS program, which provides an in-depth examination of global strategy, PMOs, projects, programs and portfolios ranging from complexity, mega projects, competencies to cross-cultural leadership. The language of instruction is English. 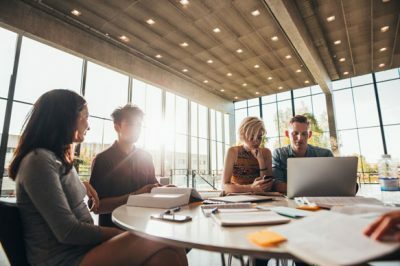 he SBS Swiss Business School MSc in Strategy, Project Leadership and PMOs is a direct-entry program requiring no previous professional or work experience. Its utilizes an innovative approach to team-based learning which reflects today’s progressive workplace. The SBS Swiss Business School and AIPMO’s joint MSc will open the door to the international career opportunities by allowing you to understand, create and lead complex operational and project related areas at the highest levels. Aside from the regular in-class sessions and coursework, SBS Swiss Business School also arranges for its students, value-added activities including CV Writing and HR Workshops; Guest Speakers; Language Lessons; Company Visits; Career Opportunities, and more. Students benefit from these activities by learning more about industries, companies and business practices that are involved in these events, and through extending their networks and realizing opportunities that are in line with their career goals. Work experience is not compulsory. Students from all backgrounds are welcome to apply. In a years’ time, students will complete the academic courses and studies. This period concludes with the submission and defense of a thesis in front of a panel jury. Students are encouraged to choose a business-related subject linked to their prospective career. This project is mentored by an SBS Swiss Business School approved supervisor or instructor. Students that have taken and successfully passed AIPMO’s Master certification (IPMO-M) will receive 3 credits to the MSc. Students who successfully complete the academic and professional experience requirements will be awarded the degree of Master of Science in Strategy, Project Leadership and PMOs from the SBS Swiss Business School and accredited by AIPMO.